My latest half marathon was the Zion Half Marathon outside Zion National Park in Utah. The race was put on by Vacation Races, the same folks who organized the Rocky Mountain Half Marathon that I ran last year in Estes Park, Colorado. Of all the races I have run, the Zion Half was in the prettiest part of the country. And of all the races I have run, this is the first one during which I prayed. It was all because of what happened at Mile 4. Race morning was a bit stressful. It rained during the night and the start line area was very muddy. Walking over to the warming tent and the port-a-potties resulted in running shoes heavily coated in mud. The start of the race was delayed 15 minutes because people who had driven to the start line couldn’t park in the field due to the mud. It took a bit of extra logistical work to get cars parked and runners to the start line but the race organizers got all that quickly sorted out. Big change from running below sea level in New Orleans! The course started in Virgin, Utah (great name for any runner doing their first half marathon) and ended in Springdale, right outside the entrance to Zion National Park. 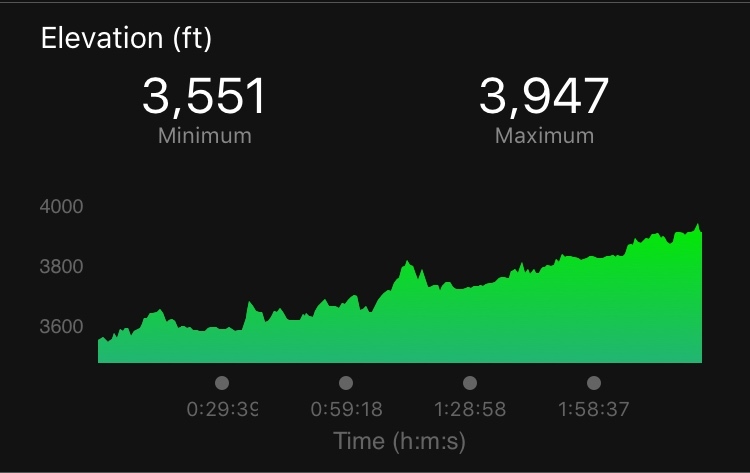 The elevation at the start line was over 3,500 feet and over 3,900 feet at the finish line. Except for one little bit of downhill around Mile 7, this race was all uphill. The first mile was a little tricky. It was chilly but the rain had stopped. 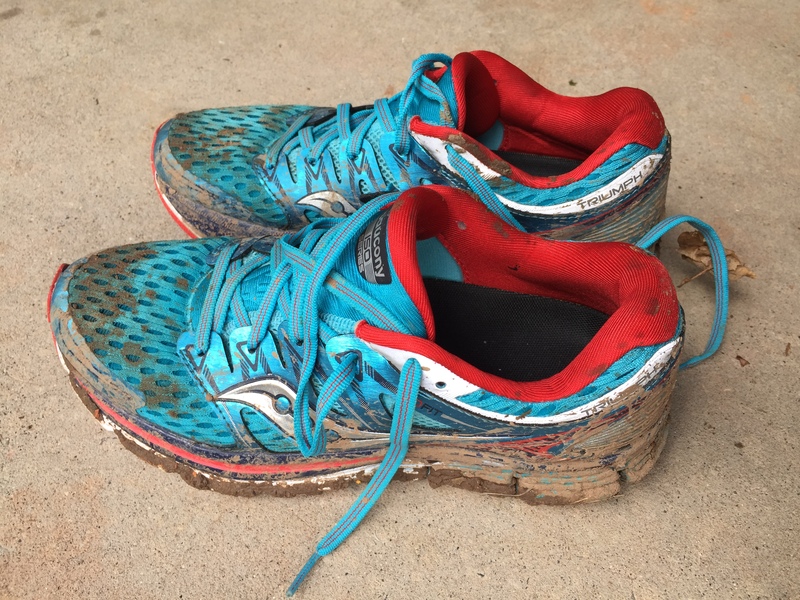 My shoes felt like they weighed an extra 5 pounds because of the mud caked on them. But the mud quickly fell away and I got going. As I approached Mile 4, I was passed by two emergency vehicles with sirens going and lights flashing. They pulled up next to an ambulance along the side of the road. As I passed the scene, I saw a man on the ground being attended to by a number of people. It was scary. That is not a sight any runner wants to see at a race. I didn’t linger or stand and gawk at the scene. Three more ambulances flew by me as I continued to run. I did the only thing that I thought could help this runner and myself. I prayed. Later two runners passed me and I overheard one talking about the man. One said that he hadn’t had a pulse for over 10 minutes. I couldn’t imagine a positive outcome in that situation. For the rest of the race I thought about that runner. When I met up with my husband after the race, I burst into tears and told him what happened. It was difficult to be happy about finishing the race while knowing that someone didn’t get to run theirs. Later that day, the race organizers sent out an email thanking all the runners for being cooperative with the changes that had to be made at the start due to the weather. They also let us know that the runner who collapsed was stable and recovering. I felt so much better when I heard that. But the story of what happened at Mile 4, I learned later, is much more amazing than anyone could imagine. The runner was on a reunion trip with a bunch of old friends, people who had been friends for years but hadn’t seen much of each other. They didn’t know that he had collapsed until after they finished their race. When he collapsed, a bicyclist who was pacing his friends jumped off his bike to roll the man over and help start CPR. (That bicyclist had just gotten re-certified in CPR.) Even more amazing is that a group of “angel runners” stopped to help until an ambulance and EMTs could arrive. Among them were a cardiac surgery ICU nurse, two trauma ICU nurses, an ER nurse, a cardiologist, a neonatologist, and a neonatal nurse practitioner. From the accounts that I have read, these medical professionals – who didn’t previously know each other and were also running the race – came together in an instant to help a fellow runner. In a situation like this one, seconds count. For over 20 minutes, they performed CPR on the runner before an ambulance and EMTs arrived with equipment (i.e., a defibrillator). That this runner came back from being down that long is a miracle. I look at what happened at Mile 4 and I see the lessons to be learned. The first is about priorities. Racing may seem important but it is not more important than someone’s life. My shoes got muddy and I had to trash them but I was still alive. The small stuff in life just doesn’t matter. The next is about the importance of community. We all are part of this community of runners. We have to look out for each other. During this race, in an instant several people stopped everything they were doing to come to the aid of another runner. They shifted their priorities from racing to helping someone else in a life-or-death situation. I will never look at the person next to me in a race the same way again. That person may end up helping me or vice versa. We are all in this together. Finally, if I never believed before, I certainly believe now in miracles. It can only be a miracle that a runner collapses and is immediately surrounded by the people with the specialized skills needed to save his life, that performed CPR on him for over 20 minutes, and that he lived. It was a miracle. I give this race two thumbs up. It was well-organized and the scenery is unlike any other in the country. Eye candy the whole way. 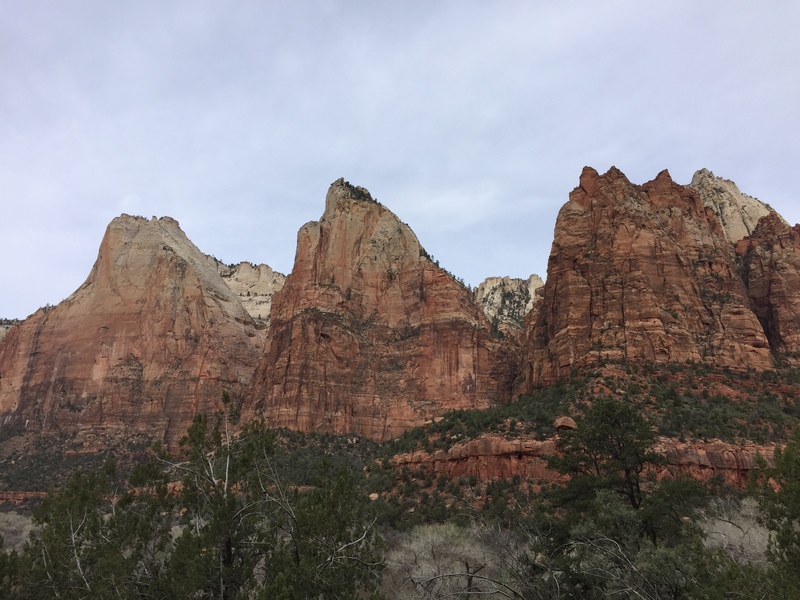 Plus if you have extra time, you can visit one of the most beautiful National Parks – Zion National Park. We stayed in a terrific hotel, Flanigan’s Inn, not far from the finish line. The staff was friendly and extremely helpful, pointing out places to visit (like Grafton, a nearby ghost town). The hotel has a hilltop labyrinth that provided a wonderful way to relax and calm my mind after the events of the day. The Spotted Dog Cafe, next to the hotel, has a good menu of tasty dishes. Their breakfast buffet included wild blueberries from Maine – better than any blueberries I have ever had.